I don’t want to turn this into one of those “hey, the craft beer trend has even hit [insert country of choice here] now!” posts, but I do think it’s worth noting when a place embraces it enthusiastically, as seems to have happened in both Spain and Portugal recently. They take their food seriously in these parts, so maybe this is not a surprising turn of events. 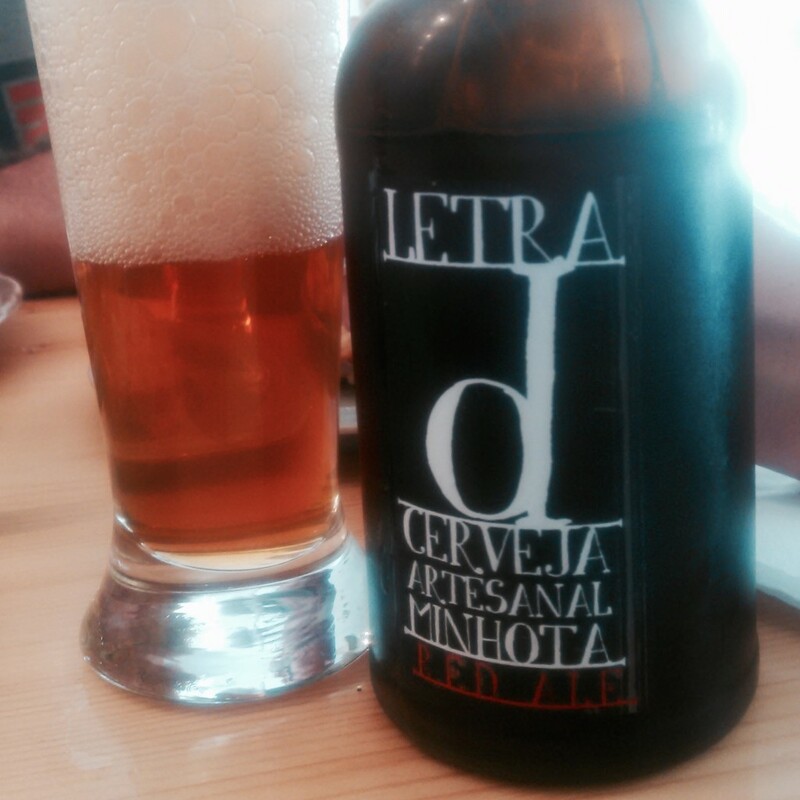 Alphabetised ale from Letra in Portugal. 33cl bottles are “d”, 75cl are “D”. Cute. Oh yeah, the tapas. The amazing tapas. Delicious meats and cheeses, a new delicacy delivered with each drink order. And–in Asturias and Galicia at least–all included in the price of the already-cheap beer. Even on the couple of occasions, passing through smaller towns, where only macro lager was available, the tastiness of the tapas made up for any disappointment. One area where Finland is historically on a par with Ireland is the food/bar conundrum. Home is for eating, out is for drinking, as my great-grandfather used to say (now that I think about it, that might have been for his own wellbeing as much as anything, given the quality of bar food). Anyway, these days you can of course find bars serving excellent food, even here in Helsinki (I can’t speak for the rest of Finland). You’ll pay well for it, though. For example, Latva is a nice bar whose whole concept is Finnish-style tapas; it’s a shame that Finnish-ising the prices along with the ingredients pretty much defeats the purpose. 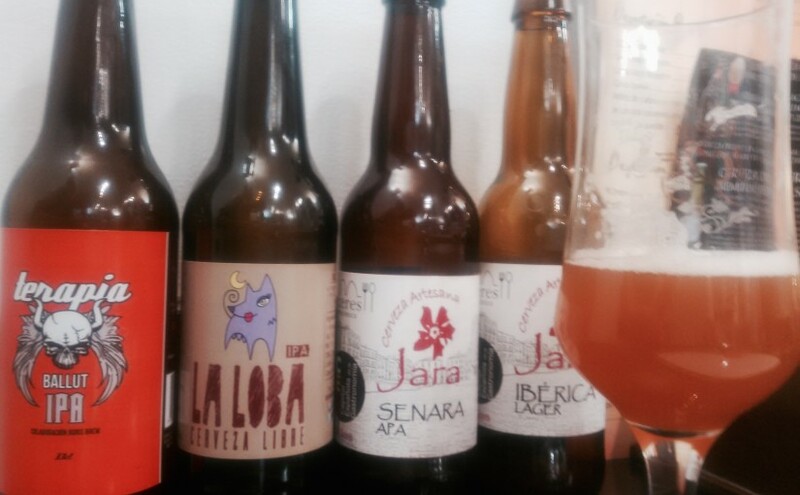 I don’t think I’ve yet seen any Spanish craft beers in Finland. But next Friday’s Meet the Brewer evening at BrewDog Helsinki features Spain-based Irishman and Beer Sommelier Dominic Lombard, who has worked with Spanish breweries Dougall’s of Cantabria and Mateo & Bernabé of La Rioja. He’ll have two beers from each brewery with him. I didn’t get to try any of those on my Iberian travels, but from what I did sample–seawater ale, chestnut ale, tasty lagers, good IPAs and surprisingly good stouts–the event should be worth a visit. Fingers crossed for tapas.